Obituary – Gafford, Marjory Jean (Cress) « Perry High School Alumni Association, Inc.
– daughter of Mrs. P.W. Cress, was born on January 11, 1925, at Oklahoma City, and has spent her entire school life to date in the local school system. She has been a student of the Perry school for only 11 years, however, having received a double promotion in her second and fifth grades. She has held the offices of Immortality in the Order of Rainbow and secretary of Queen Esther. Marjory Jean plays golf as a pastime and also collects pennants from colleges. She appeared in the one-act play “Lost and Found” her senior year, and was in the Spanish assembly plays in her sophomre and junior years. She plans to enroll in Christian College, at Columbia, Mo, upon graduation. Marjory Cress Parker Gafford went to be with God on July 11, 2011 surrounded by her children, grandchildren and great grandchildren. Born Marjory Jean Cress on January 11, 1925 in Perry Oklahoma, she was the daughter of P.W. Cress, an early day Oklahoma attorney opening a law office in Perry shortly after the running of the Cherokee Strip, and Della Cress, a pioneer woman and great lady. Marjory was preceded in death by P.W., Della, and her brothers General Erle Cress and Paul W. Cress, former Oklahoma Federal US Attorney. 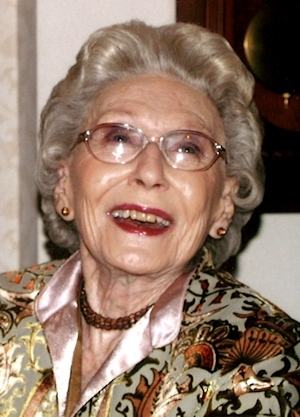 Marjory is survived by her two sons, William Paul Parker and his wife Susie of Oklahoma City, Oklahoma, Stephen Edward Parker of Mobile, Alabama, her five grandchildren, William Paul Parker II and his wife Stephanie of Morgan Hill, California, Brian Edward Parker and his wife Kristi of Birmingham, Alabama, Brooke Parker O’Dell and her husband Paul of Mobile, Alabama, Hillary Parker Jenney and her husband Tim of Tulsa, Oklahoma, Whitney Parker Schones and her husband Bryan of Oklahoma City, Oklahoma and 13 great grandchildren. A part of what we now so often call ‘the greatest generation’ Marjory’s life embodied and lived out the character traits and accomplishments of that generation; she loved her boys, her family and her country with that single minded passion and devotion which enabled her generation to accomplish great things. A devoted mother to her two sons, she was also active in civic, charitable and social activities in Perry and an active member of the First Methodist Church of Perry. 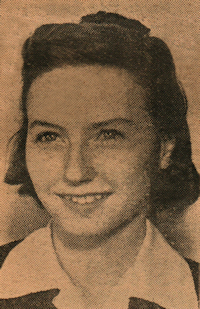 After her sons left Perry, Marjory moved to Oklahoma City and married Mont Gafford where Marjory and Mont became devoted grandparents, Episcopalians and friends of Bill W. Mont preceded Marjory in death and while her failing health during the last several years reduced her ability to participate in social and civic activities she stayed active in the lives of her beloved family. Throughout her long and accomplished life, Marjory never lost an innocent, childlike love and fascination for the beautiful, the whimsical and the magical and if the real world isn’t as fraught with magic and make believe as she continued to perceive and believe it to be, it should be; those of us who knew and loved her are better for her showing us those things. We love her much and will miss her and all those things that made her special. Funeral Services will be held today, Wednesday, July 13, 10 a.m. at St. Paul’s Cathedral. Graveside Services will follow at Grace Hill Cemetery, Perry, Oklahoma. In lieu of flowers, donations can be made in her memory at the Central Oklahoma Humane Society, 9300 N. May Avenue, suite 400-281, Oklahoma City, OK, 73120.